Pfc. 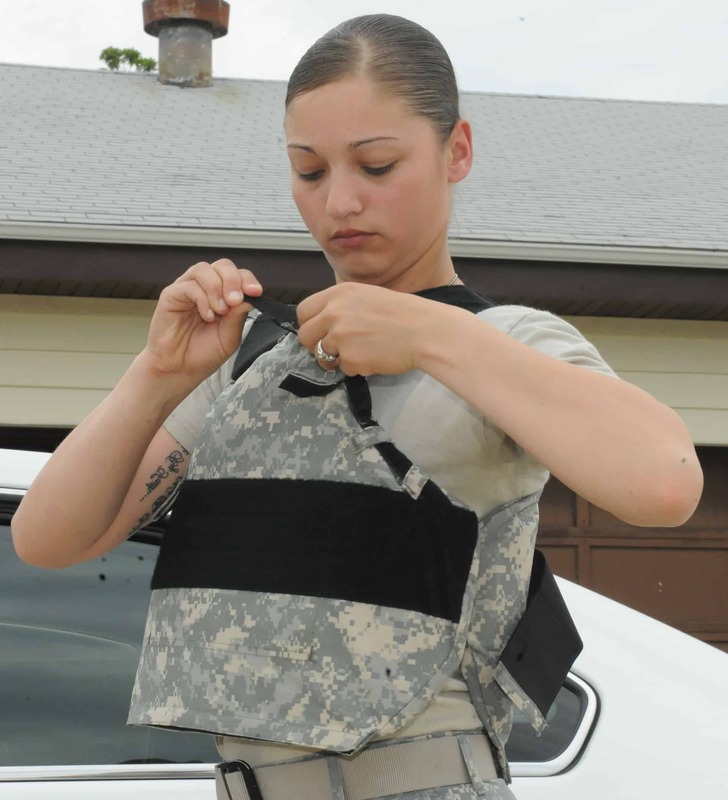 Misty Ortiz, adjusts the new covert body armor during testing. 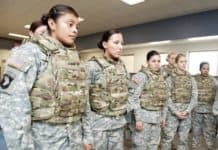 The Army recently tested its new bulletproof vests with the help of more than 20 Ford Leonard Wood military police officers. Both a non-concealed and concealed version was under inquiry by U.S. Army Military Police Corps MPs. Connie Respress, action officer with the Capability Development Integration Directorate Requirements Determination Division program, said Ford Leonard Wood was the rational choice for gauging the latest Family of Concealable Body Armor. Respress said Ford Leonard Wood is full of MP Corps leaders and soldiers that provide daily tasks as military police. She said the Product Manager Soldier Protective Equipment within the Program Executive Officer Soldier is in charge coming up with systems that meet the performance factors that are laid out in the requirements document. There are two kinds of vests military police, DoD civilians, correctional soldiers and Criminal Investigation Division (CID) agents are provided with. Repress said the new vest will provide the wearers with more protection and movement. She revealed that other locations were involved with the technical and operational testing. Maj. Michael Fowles, PM SPE’s assistant program manager, said the vests have an amazingly extraordinary amalgamation of both stab and ballistic protection. Fowles said the vest have changed in sizing. For the FoCBA vests, there are more sizes available, meaning wearers can have a better fit and feel safer with their vests. She said there are 12 female MPs of 22 giving their evaluation, which is the key to the evaluation’s success. Fowles said female-specific sizes are being introduced so that all law enforcement can fit properly and comfortably. Both Sgt. Michaela Thomas, team leader for the 512th MP Co., and Sgt. 1st Class Gary Warner, instructor with the 14th MP Brigade Protective Services. Warner who is evaluating the concealable vest said its more for comfort than anything else with him, and believes m any soldiers would concur with his statement. 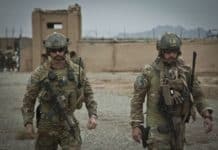 Warner said soldiers are more concerned with comfort, and want to compact vest that takes little to operate, simple to manage and is comfortable to wear. Thomas said she’s using the non-concealed vest with white and black lettering. She said this type of vest helps to separate MPS from everyone else. With previous vest, there was nothing that made them stand out from everybody. When it comes to a crowd, she said, the vests make it easy for people seeking the help of an MP to spot them. Thomas said the new bulletproof vests make it easy for people to approach them. She said it’ll keep her and partners safe while they do the job they’re assigned to do. Repress said Fort Leavenworth correctional soldiers will be the first to receive the new bulletproof vests sometime in July. The other vests will be given out based on a priority-fielding plan. Warner said it’s been a privilege to test the product because they can help to shape the Military Police Corps’ future. Thomas agreed with that statement. She said it’s a responsibility that she’s honored to been a part of; making sure that she provides the answers needed to choose the route the manufacturer needs to move for the whole MP Corps. Fowles said the evaluation feedback is going to be used to create new bulletproof vests that will meet soldier acceptability and performance requirements. The feedback will help to ensure improvements in design are made, so that the new bulletproof vests are highly functional and comfortable. 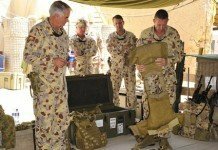 Repress said it’s important that gives the best vest possible for military police soldiers and civilians that will boost their ability to carry out their law enforcement duties.